Iron ore is the foundation of iron and steel industry. In China the iron and steel industry is developing quickly and the demand of iron ore is growing constantly. However, in our country the iron ores are usually in low grades. In view of the overall development level of mining equipment in China, the green ores cannot be made full use of. As a result, a large amount of tailings are wasted during the production course, which leads to abundant losses of natural resources. In the treating process, cone crusher is able to further crush iron ores into smaller particle size and realizes a more sufficient utilization. At present the common iron processing equipment in domestic includes jaw crusher, cone crusher, impact crusher and so on. 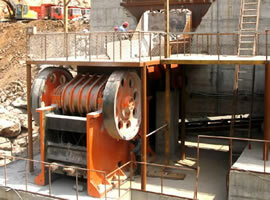 The working principles of different crushers are different. Jaw type crusher is mainly used in the rough crushing of mineral raw materials and cone crusher can break iron ores to a finer size. After that, the iron ore can be crushed to the required fineness by impact crusher. Only make full use of iron ore, can it be possible to satisfy the rapid development of the iron and steel industry. It is necessary for us to continuously improve crushers' technical level and performance superiority. It not only helps us to achieve the full utilization of iron ore, but has significance for facilitating the utilization of other mineral resources at the same time. This new type of cone crusher we launched recently is specially designed for iron ore crushing. 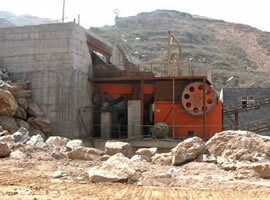 It combines the technique strengths of spring cone crusher and hydraulic cone crusher. In return, iron ore crushing also highlights the technical advantages of this new-type cone crusher.